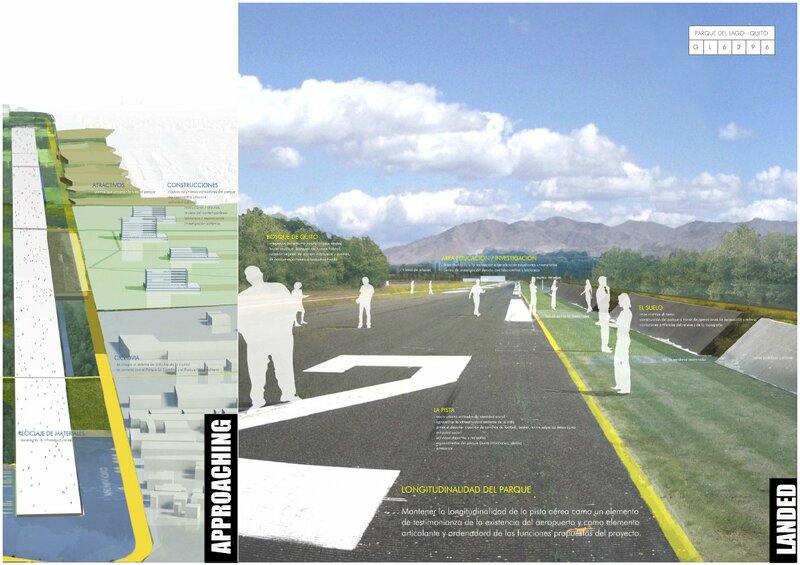 International competition “Parque del Lago a Quito (Ecuador)”. With Enrico Fontanari, Manuel Ruisanchez. 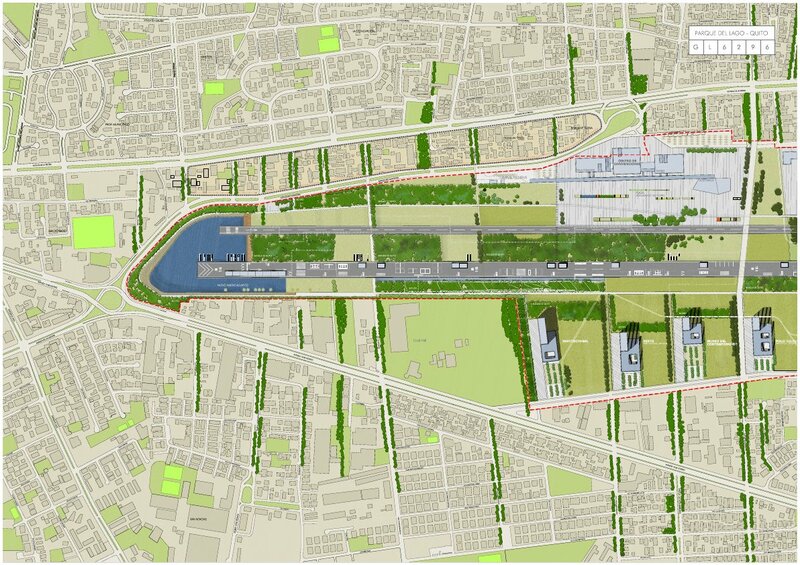 The competition called for the urban area redevelopment of the city airport, which will be moved to another location. 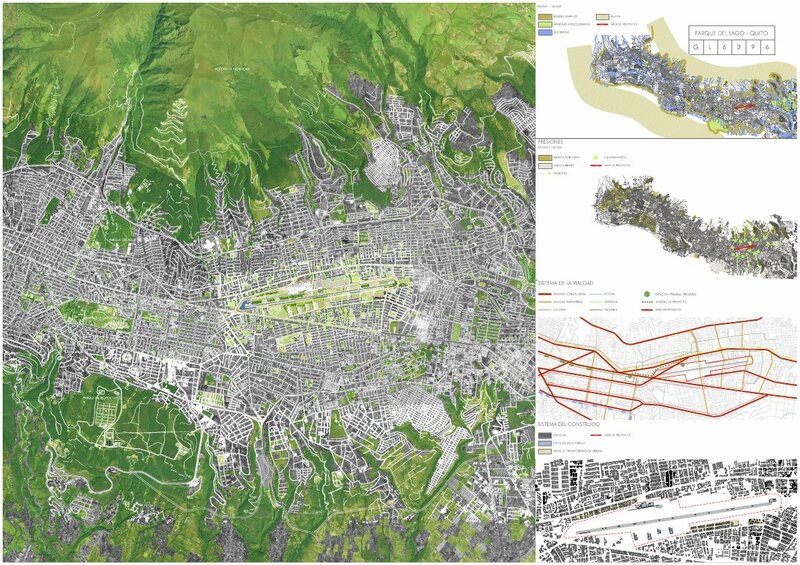 The city of Quito stretches lengthwise and is surrounded by mountains. 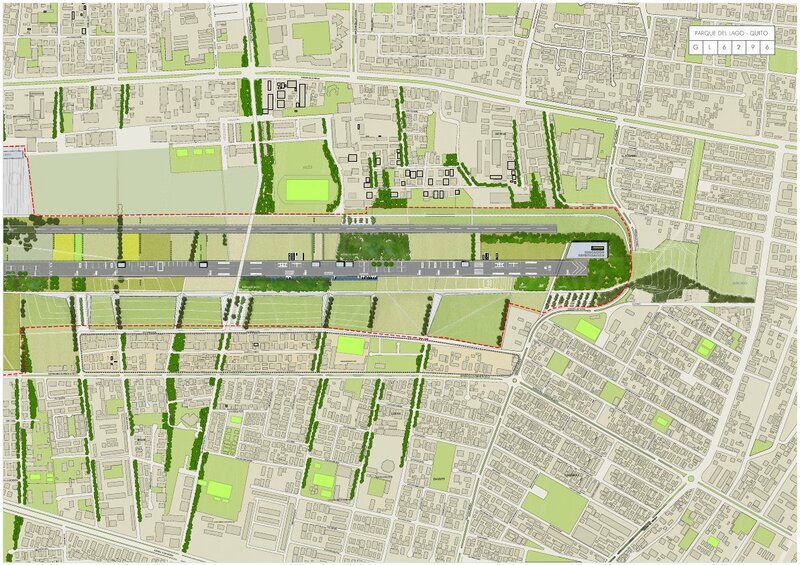 Worth noting, are the natural green areas that lie at the sides of the project area generating a system of green strips, which interact with the future park project. The cement-covered runway areas are therefore kept intact and re-used. 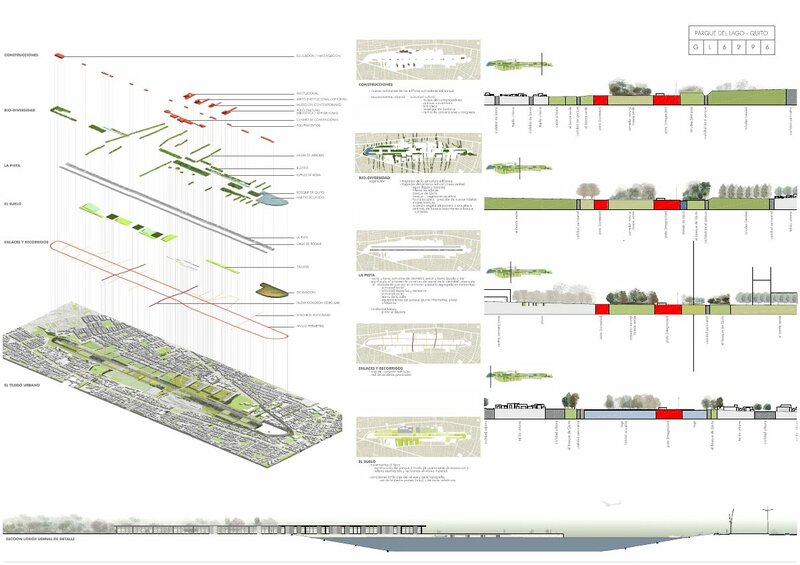 Along with the green permeable areas of the project, they form a system of public sport and recreational facilities, which is lacking in the neighbouring working-class areas. The city contains anthrophic and topographic barriers that make crossing the territory difficult, and simultanously hinders its development. 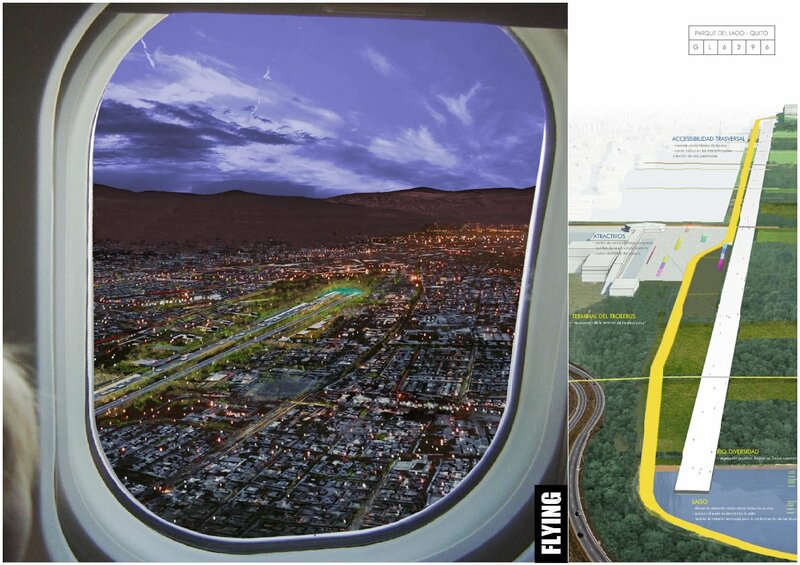 The current airport must provide new links to connect the different parts of the city which are currently isolated. These will be made up of roads, cycle paths, waterways, and tree-lined walkways. The airport terminal will be redeveloped, and turned into a congress and convention centre.